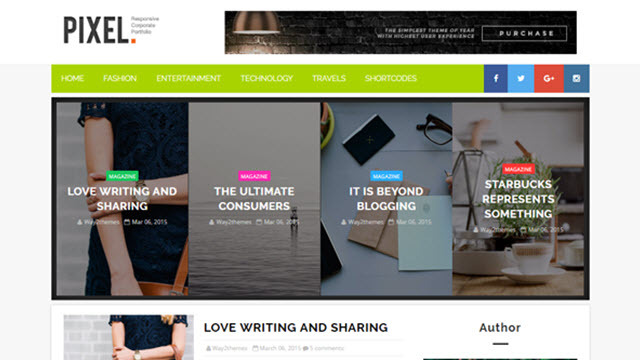 Description: Pixel Responsive Blogger Templates is a responsive featured blogger template which helps you to publish your blog more professionally. Pixel is ideal for news, Tech, blogging, fashion, Travel, Niche, Events, Autrhority and Recipe Blogs. Pixel is highly optimized to perform better in search engines made, Its a fully customizable blogger template with completely responsive layout. Pixel is compatible with all of the modern browsers and comes with many features like Featured Widget , Drop Down Menu, social sharing buttons and a lot more. Following are some of the key features of feather blogger template.